That’s a scary statement to hear/read, and believe me, it’s even scarier to say/write. How would you react if someone you didn’t know well said it to you? Mental illness is a tough subject to talk about – even to think about – but at some point, you’re going to be confronted with it. That is if you haven’t been already. According to reports by the World Health Organization, one in four people in the world have suffered, will suffer, or are currently suffering from mental health issues. I am one of those people, albeit an outspoken one. Let’s take that figure and apply it something tangible, like the workplace. Turns out, people like me are the people that you work with every day. At Atlassian, where I work, we have about 2,000 people on staff. So if we do the math, that means 500 people in Atlassian’s employ have, are, or will suffer from some kind of mental health issue. I’m a 24-year old male suffering from three different disorders: Bipolar II Disorder, Anxiety Disorder, and Seasonal Affective Disorder. I’m in the not-so-unique situation of being counted among those one in four for the rest of my life. One in four of you are (or will be), too. And the other three work with someone like us. Which two of these people will be affected by mental illness? You probably can’t tell just by looking. Mental health issues can make it really challenging for a person to hold down a job (let alone excel in their career). But with one in four people affected by mental illness, we as a community of workers need to learn to navigate these issues – whether for our own sake or for the sake of supporting teammates we care about. I’m lucky enough to work with people who not only tolerate the unpredictability that goes with my disorders but actively try to support me. Put that together with me being outspoken, and here we are: me writing about my experiences, hoping to give you just a little insight into my world. And maybe helping you and your team understand more about what, statistically speaking, you’ll probably have to deal with at some point, in some way. Bipolar is something that affects every aspect of my life; not knowing how I’ll wake up feeling, whether I’ll be energetic and ready to go (which comes with its own problems) or not want to even so much as see anybody, much less talk to them is something that is tough to deal with. Being cyclic in nature, it’s also something that isn’t triggered by anything in particular; it’s something that just happens. The two sides of it are known by the extra-creative descriptions of “up” and “down”. Let’s talk a little about how they differ in nature. “Down” days and weeks are what can be perceived and probably easiest described as depression. All of the classic symptoms of depression are present: lethargy, lack of socializing, sleeping more and eating less, agitation, nerves, and so on. Working in a social environment (I’m in an IT/help-desk role) makes these days really tough to handle at times. Up days and weeks are tougher to describe, as there’s nothing quite like it. In one sense, it seems like everything is being seen through gold-tinted glasses. I have more energy, I want to talk to people, I want to just do things. But in the last two years, I’ve slowly come to realize that there’s an odd smattering of emotions in there – it’s not all good things. I was diagnosed almost five years ago, and the only way I can describe it accurately is this: it’s emotional amplification. Imagine feeling everything you feel on a daily basis, just three times as intensely. All the joy and happiness are amazing. But then the anger, agitation, even apathy, and sympathy are also being amplified. That’s how an “up” day feels. Anxiety is a little bit easier to describe as it’s something that most people have felt, albeit to a lesser extent than someone suffering with an anxiety disorder. If you’ve ever felt worried about something to the point you’ve had a lump in your throat, or it’s all you can seem to think about, you’ve seen anxiety. An anxiety or panic attack, though, is different. It’s all of those things, but with it comes chest contractions, hyperventilation, and the feeling that you can’t get enough air. It can also strike at any time, and about things that wouldn’t usually make a person anxious. On top of that, there’s something known as the spiral of anxiety: worrying so much about how people will react to your anxiety, especially if you have an attack in public, that you get more anxious which only makes the worrying worse. And so it goes on and on. Seasonal Affective Disorder (or “SAD”, appropriately) is something that strikes during the darker months: mid-Autumn through to mid-Spring time, as the days are darker and colder. All of this brings on bouts of depression. Almost every single day, and especially when the day is drawing to a close. Leaving the house for work when it’s still dark and leaving work for home when it’s already dark again doesn’t help, either. The last thing to consider is that these are all separate entities existing simultaneously. And yes: they can all strike at once. That leads to some very extreme days. Atlassian is a company that takes its values very, very seriously. “Build with heart and balance” is one that really appealed to me. When I started here about a year ago, I hoped that the values were really lived up to here, and I can tell you, yes they are. Especially this one. A lot of places I’ve worked before had prejudices, preset dispositions, and completely ingrained stigmas attached to many, many things. Mental health was certainly one of them, to the point where I hid and refused to share. And walked through each day feeling like some kind of fraud. Imagine, though, the freedom I felt when I saw that sexuality, race, gender and, yes, mental health, were not topics that are quashed. Here, I can (and have) share without fear. So I started a discussion within the company. I wrote about my mental health, and how it affects me on a day to day basis. Opening up to my immediate and extended team in that way was a huge first step. The “simple” act of trusting them and being vulnerable with them had the effect of them trusting me more. That creates an incredible place for a sufferer – both to be understood, and to have a platform for talking about it with others. When I’m in a “down” cycle or experiencing the effects of SAD or heightened anxiety, I don’t really want to talk to people. As a team, we’ve found reasonable ways to cope with this. And just knowing that my teammates understand that I may respond in very different ways on different days is an immense help to my mental state. My teammates in other offices will take over any work they can, but the social aspect is something I still need to navigate myself, and being able to call upon colleagues in the wider Atlassian team is invaluable. This also works the other way where I can take on extra work or tasks from people in other offices when I’m feeling “up”. They also know that I need to take “mental health days” (literally) sometimes and with little or no notice. From their perspective, it’s no different than if I call in sick with the flu. Just that, for me, the sudden days off happen year-round. I offer them transparency about what’s going on with me, and in return, they roll with it. The effort – the heart, if you will – that we put into communicating with each other means we can balance the workload and Get $#!τ Done. For the people out there who don’t suffer, but do notice when other people are suffering, you’re the heroes we need on some days, even if you don’t know it. What advice would a sufferer give to you? Just be there without pressure. It’s a complex statement, I know. If I need to talk to someone and know you’re there, I will come talk to you. If I need to talk to someone, but you’ve been asking “Are you OK?” every five minutes, I’ll probably not come to you. I know a lot of my fellow sufferers agree with me on this. And if you suffer from mental illness – if you need to talk to somebody – there are people out there. People who understand, care and want to try and help in any way they can. For anybody who has any type of communication with me, I’ve told them that they can talk to me. Any time, about anything. But my best advice is that there are people far more qualified than your peers. The subject of mental illness is being de-stigmatized by the day, and there is absolutely no shame in needing or seeking help from a professional. I consider it, to this day, the best thing I did for my own life. Finishing up this story is tough. I’d love to leave you with some masterstroke, some genius advice that can make all you sufferers out there feel better and smile through all of the hard times. But if that existed, it would have been put on a pamphlet in your local GP’s office years ago, and we’d all be fine by now. I will say, however, that I’ve never before worked in a place where I’ve felt comfortable talking about these things outside of my own friend circle (and my close friend circle, at that). 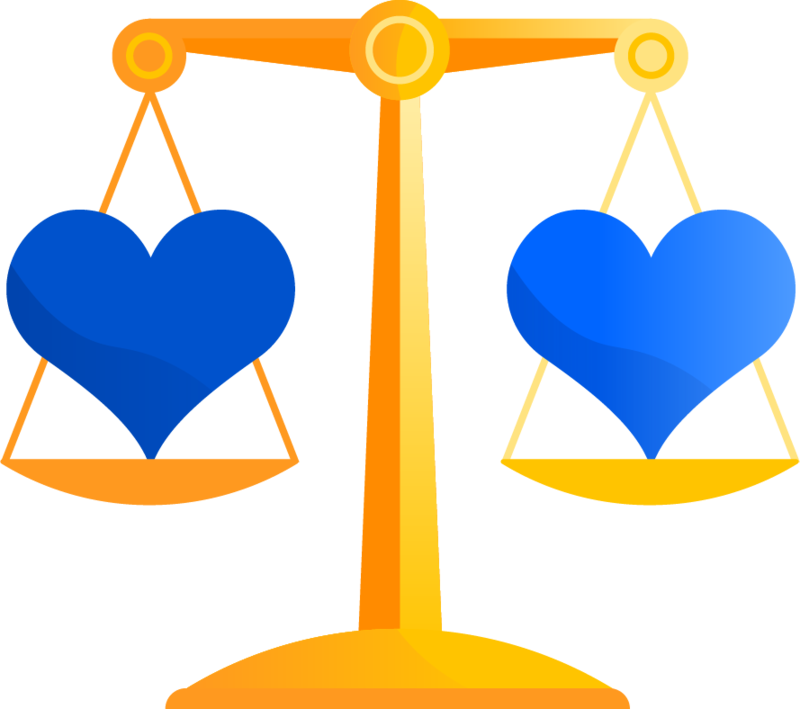 Here, the values of “heart and balance” and transparency filter down from our CEOs, and are afforded to everybody in the company. Maybe you’re privileged enough to have that kind of culture at your company, and maybe you’re not. If you have a teammate who suffers from mental illness, I’d encourage you to champion those values on within your team. Be an ally. Help create a safe and inclusive space. Not only because it’s the right thing to do, but because being around people different from you broadens your horizons and builds empathy. And empathy for others makes you better at just about every job. For anyone still reading this, thank you. I hope this post helps you out in some way, whether as a sufferer or just helping to further your understanding. Learn more about building an empathetic team.